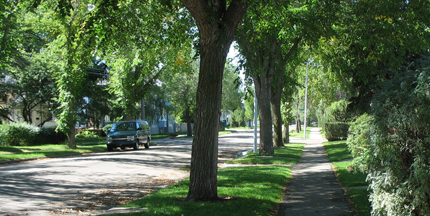 A boulevard is the portion of City property between the curb or road’s edge and the adjacent front property line. Boulevards may also border sidewalks, multi-use trails and alleys. Residents are responsible to care for the boulevard, alley and driveway crossing adjacent to their property line.